AgriCorps has hired Dr. Steve Gratz to drive this expanded mission as the new executive director. Dr. Gratz is a retired agricultural educator at both local and state levels. Most recently he was the senior executive director of the Ohio Department of Education’s Center for Student Support and Education Options where he oversaw Career and Technical Education amongst other education priorities. “AgriCorps has done tremendous work over the past five years to develop a scalable model of sustainable agricultural development through agricultural education.” said Dr. Gratz. He hopes AgriCorps can create an enabling environment for governments, development organizations and multi-lateral institutions to build capacity for school-based agricultural education programs around the world. The $25 million authorization of the International Agricultural Education Fellowship in the 2018 Farm Bill recognizes the importance of youth engagement in international agricultural development. This provision is a big achievement for youth in agriculture, but more policy shifts are needed. As AgriCorps works with partners in the U.S. government to develop the International Agricultural Education Fellowship program, it will place a pause on current fellowship operations and suspend the fellowship for 2019. Since its founding in 2013, AgriCorps has placed over fifty fellows in communities across West Africa to build capacity for agricultural education. The organization will leverage this tremendous on-the-ground experience to research and promote scalable models of agricultural education development. AgriCorps will collaborate with prominent economists and agricultural educators to publish results on the impact of school-based agricultural education in developing countries. 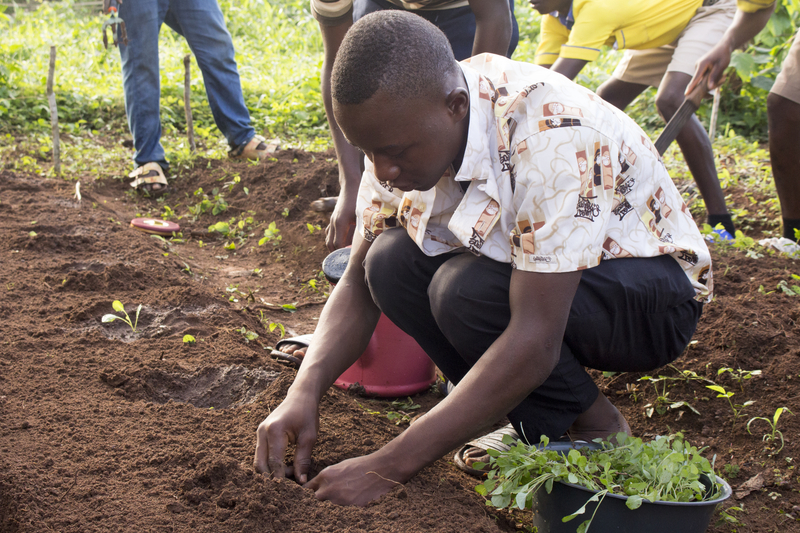 AgriCorps connects young, agriculture professionals to the demand for experiential, school-based agricultural education in developing countries. More information on AgriCorps can be found at www.agricorps.org and on Facebook and Twitter.